This Nightmare Before Christmas Seriously Spooky Sign features Jack and Zero. Tiered three panel cardboard decoration with a ribbon hanger. 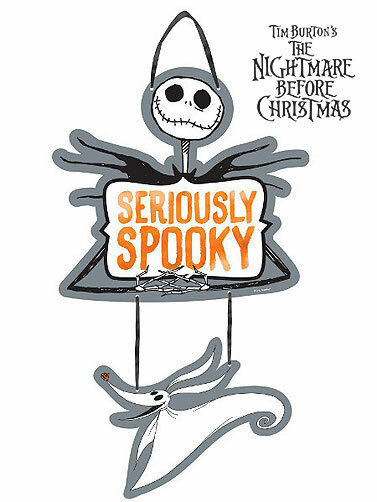 Nightmare Before Christmas Seriously Spooky Sign measures 18 5/16"H x 10 7/8"W.